To walk inside is like walking into a living museum. Today, many have been converted into heritage hotels, though others remain publicly accessible in their original, often decaying, form. Many are shrouded in legend, myth, and ghost stories, which makes a visit even more mystifying if you’ve read up on your history before you go. 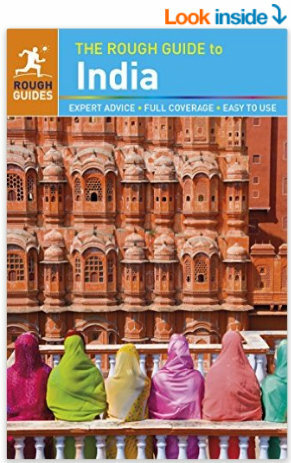 Browse more to find the most popular historic forts in Rajasthan. 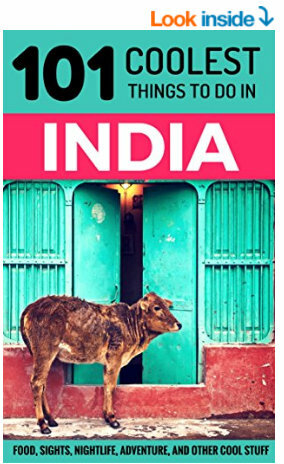 If exploring independently, the following are palaces and forts you should make the effort to go. 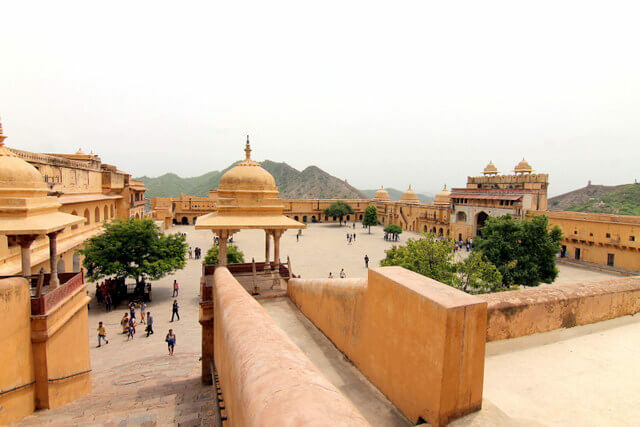 The Amber fort in Jaipur is located on the base of the Aravalli range and overlooks the Maota Lake. It was built by Raja Man Singh in the 16th century, and is a magnificent fort with an extensive palace complex. The fort is built from pale yellow and pink sandstone, and white marble, and divided into four main sections, each with its own courtyard. You can enjoy excellent views both inside and outside of the fort which is well known for its artistic craftsmanship. With a four level layout, the Amber Fort is a fine example of marble and red stone architecture. Some of the highlights of the palace include Hall of Private Audience, Hall of Public Audience, Sukh Niwas, Sheela Mata Temple, and Sheesh Mahal. You can visit the fort on elephant-back, but animal welfare groups have criticized the conditions in which the elephants are kept because of reports of abuse, and because carrying passengers can cause lasting injuries to the animals. 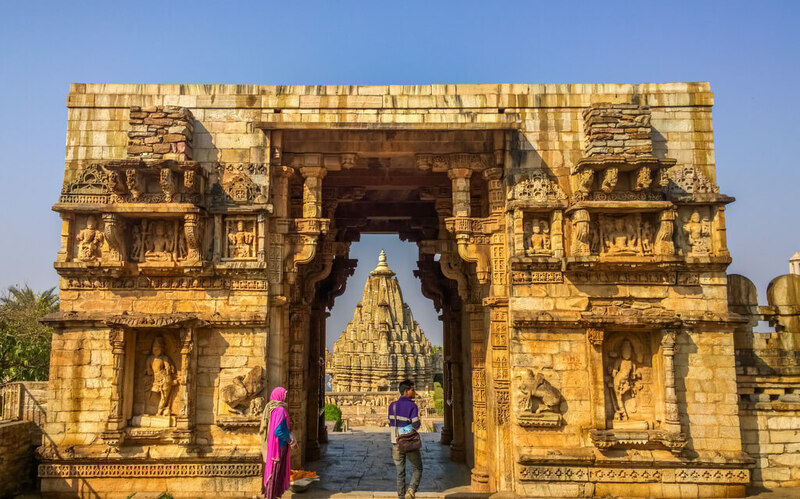 The Chittorgarh fort, or Chittor fort, is the largest fort in India, and was once the capital of the longest ruling dynasty in the world (the Kingdom of Mewar ruled for 800 years). Truly massive, the fort is spread across a hill covering almost 700 acres, and has since been declared a UNESCO World Heritage Site for it’s outstanding architectural and historic value. 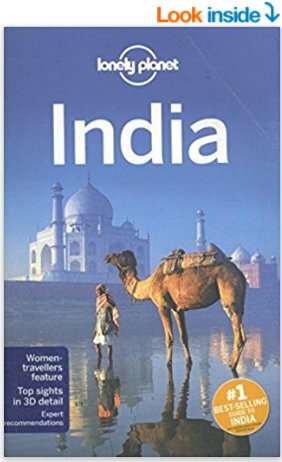 Enclosed within the fort are many palaces (like the Rana Kumbha Palace, the Fateh Prakash Palace, the Tower of Victory and Rani Padmini’s Palace), as well as temples that often predate the fortifications, urban centers, sacred buildings, and massive fortified stone gates. Many of the structured enclosed by the fortifications have survived, and, being up 180 meters on a hill, you’ll be greeted with spectacular views over the Gambhiri River. You’ll probably need all day to explore the massive grounds here. Chittorgarh is an easy day trip from Udaipur, and you can usually hire a local driver for $50 USD for the day. A stay at this heritage hotel is the opportunity to live among real royalty. 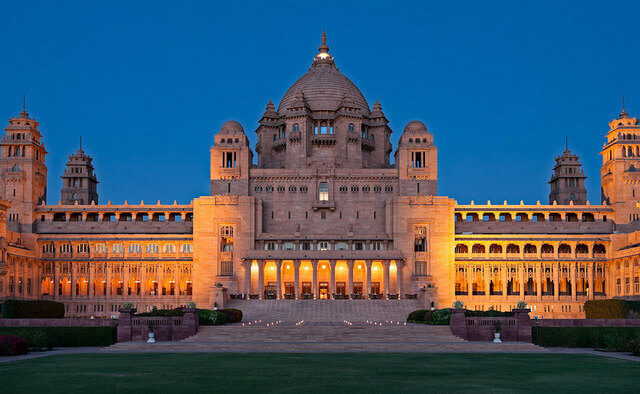 Built by the Rathore dynasty in the 1920’s, Umaid Bhawan is a relic of the past that still oozes inspiration and grandeur of the royals of Rajasthan, and, part of the palace is still occupied by the Maharaja of Jodhpur today. Constructed in 1929 by Maharaja Umaid Singh, this was the last palace to be built before India gained independence from the British. It is one of the most significant private residences in the world, and currently occupied by Gaj Singh, who inherited the throne from his grandfather Umaid. Built on the highest hill of the desert city, parts of palace have since been converted to a 5 star luxury hotel by the Taj group. The hotel’s fine dining restaurant, Risala, is the place to be if you want to enjoy the dishes from the royal kitchen. 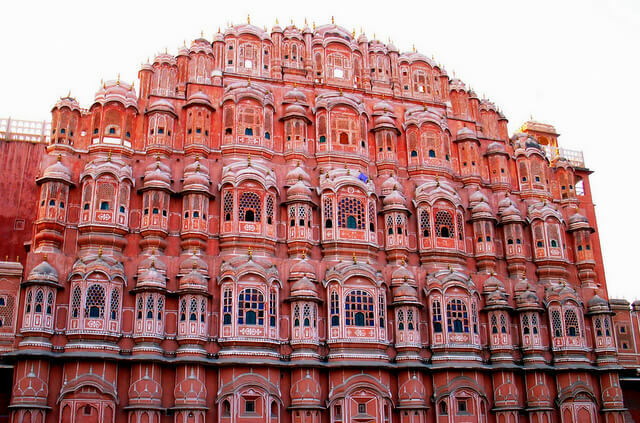 Hawa Mahal is Jaipur’s most distinctive landmark; a stunning pink-painted honeycombed hive, constructed in 1799, that rises a dizzying five stories high. This palace was essentially a high screen wall built so that the women of the royal family could observe street festivals while unseen from the outside. Located in the center of the bustling city, the Mahal is a reflection of the rich cultural and architectural heritage fusion of Rajasthan. Visit the Mahal to learn about Islamic Mughal architecture. Also referred to as the Palace of Winds, you can gaze out at the city from within the thousand windows that decorate the intricate latticework. Brij Raj Bhavan Palace in Kota is now a famous a heritage hotel, though guests considering a stay should know that it is haunted (or so they say!). There is a mysterious legend related to the 180 year old property, that the ghost of Major Burton wanders through the halls. The British major had set up residence here, but was killed (at the palace) by Indian sepoys (soldiers) in an 1857 mutiny. The soldiers broke into the palace, and murdered the officer and his family. The bodies were buried in the central hall of the palace, and soon after this, locals began seeing ghostly figures walking around. Nevertheless, don’t be deterred by the ghost stories as visiting this beautiful old-world palace is a must. It’s definitely worth braving a few ghosts to experience this level of grandeur. Located on the banks of river Chambal, the palace has seen many distinguished guests that include Kings and Queens, Prime Ministers and Viceroys. I think Amer is definitely unique. It prompted me to write a long detailed post as well on my blog – jaipurthrumylens!I do feel it is a must visit attraction. These forts look mesmerizing Meg. I gained a new appreciation of forts during my recent 2 months in Oman. Fun times. Such creativity these folks displayed, thwarting invaders. I would love to visit Oman Ryan, I bet there would be so many opportunities for off the beaten path travel, and exploring fortifications that haven’t seen much tourism. Have to get there soon!